Home/Book review, science, science communication/How many women scientists can you name? For me, the answer is surprisingly few, a fact that makes A Passion for Science: Stories of Discovery and Invention, at once, both inspirational and melancholic. Published by the organisers of Ada Lovelace Day, the book shares the stories of twenty women who researched, invented and utilised science and technology in remarkable ways. In a world where “it’s incontrovertible that there are fewer women than men in fields like science, tech, engineering and maths”, the publication aims to provide a collection of successful female role models that will inspire others to overcome the traditional gender barriers within science. Of course, as the book itself points out, the reasons for the low number of women choosing to study science, technology and engineering – or of limited female graduates gaining jobs in the field and progressing to high levels – are complex. This publication won’t solve them overnight, but it might just help people recognise the contributions women have made to science, or acknowledge the very real possibility of being able to combine family life with a successful science career. My favourite examples of the featured women include the astronomer Cecilia Payne-Gaposchkin, high-energy physicist Joan Feynman and the “enchanted maths fairy”, Ada Lovelace herself. Lovelace is, as most people are now aware, credited as the first ever computer programmer. Despite living over a century before the invention of the first modern computer, she was “the first person to write and publish a full set of instructions that a computing device could use to reach an end result that had not been calculated in advance”. Lovelace is the figurehead for an annual day celebrating the achievements of women in technology, a fitting position for someone whose “understanding of [Charles] Babbage’s Analytical Engine was so deep that it surpassed that of Babbage himself” and who the editor of this volume describes as being “100 years ahead of her time”. At the age of 25, Payne achieved another first. In her PhD (described by Harvard colleague Otto Struve as “undoubtedly the most brilliant PhD thesis ever written in astronomy”) she derived for the first time the composition of the stars. While she later wrote a popular science book and an introductory textbook on astronomy – in which she urged readers to check out paintings in art galleries to search out impossible depictions of the moon – it was this initial work that acted as an inspiration to Richard Feynman’s sister Joan. Seeing a woman’s name on a scientific publication, Feynman realised that – contrary to her mother’s view that “women can’t do science, because their brains aren’t made for it” – it was possible for a woman to become a scientist. Luckily for Feynman her brother was more encouraging than her mother, sending her university science textbooks when she was still a teenager, telling her to aim higher than she naturally did and even agreeing to stay out of her chosen field of study so as not to compete with her work. She ended up being cited as one of the NASA Jet Propulsion Laboratory’s elite senior research scientists and also received NASA’s distinguished Exceptional Achievement Medal for her “pioneering contribution to the study of solar causes of geomagnetic and climate disturbances”. It’s notable that many of the women featured in the book had, like Feynman, been inspired or supported to think differently about their career choices by others. 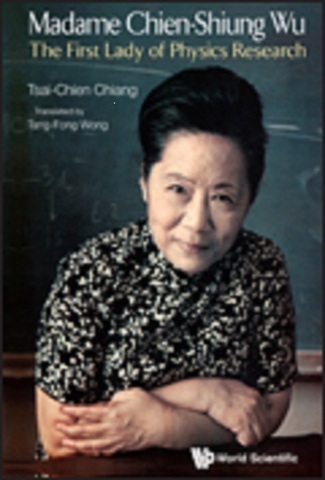 Whether it was Chien-Shiung Wu’s father setting up an entire “school for girls” at a time when Chinese girls were forbidden from receiving formal education, Jocelyn Bell Burnell’s father waking his children up in the dead of night to watch Sputnik sailing across the sky, Dorothy Crowfoot Hodgkin’s intrepid archaeologist mother or Cecilia Payne-Gaposchkin’s high achieving aunts, the idea that girls and women could receive an education, be interested and involved in science and do something other than simply raise a family was instilled in each at an early age. However, although the book is not in any way written as a polemic, I couldn’t stop myself from being saddened by the repeated examples of individual, institutional or cultural inequality that appear in these stories. What’s more, while some may be explained away by the historical context in which many of these women lived, plenty are still with us today. I even caught myself (a physics graduate who has been involved in astronomical and physical chemistry research) being surprised by the use of the female pronoun in this sentence from Jemima Kiss’s Foreword: “I want an engineer to explain the provenance of her ideas, a designer to describe her vision for the future.” I was also shocked to meet such a great number of high-achieving female scientists in these pages, most of whom I’d never even heard mention of before. Several of the challenges featured in the book echo my own experience as a nascent scientist, even though I grew up in a time where girls could be educated both at school and in higher education. Where many of these women needed to fight for the right to study a “boys’ subject” like science or maths at school, I had to leave my own London girls’ school (the same one Tony Blair later sent his daughter to) in order to be able to study double mathematics at A Level. Like those women who found themselves in a substantial minority if they studied physics at university, I ended up being the only female physicist in my year at Girton College, Cambridge (a college that had – 120 years before – been Britain’s first residential college for women). While these may seem like minor challenges in retrospect, they both meant I needed a certain level of determination in order to stick with my aim of studying physics at a world class institution – a quality a pupil at the boys’ school associated with mine wouldn’t have required. I’m pleased to say I have suffered less out and out discrimination than some of the women in these pages – but perhaps that is because I ended up in the female-dominated world of publishing, rather than pursuing a scientific career. What many of these remarkable women found when they finally made it into the workforce was a world of uncertain, temporary – and often unpaid – positions and a community which tended to only take their findings seriously once they had been corroborated by a man. This culture even led to women like Cecilia Payne-Gaposchkin keeping quiet about some of her findings (which were later discovered by men), since they contradicted her male bosses’ views. Her comment 50 years after this episode was “a warning to the young. If you are sure of your facts, you should defend your position”. What’s clear from these stories, though, is that it’s not just scientific institutions and scientists themselves that have a role to play in encouraging women to consider – and stick with – careers in the field, it’s wider society. From newspapers only mourning the loss of embryology pioneer Dame Anne McLaren’s husband when the couple were both killed in a car crash, or swapping around Joan Feynman and her husband’s PhDs (on the assumption that she was the anthropologist and he the physicist), to the limited published accounts available on the work of figures such as Victorian geologist Florence Bascom and “one of the most important people in computing” Karen Spärck Jones, the media is also a key factor. Any publishers reading this, I urge you to take up Sue Nelson’s offer to write a book about the life of astronomer Williamina Fleming. I for one would want to read the story of a Scottish single mother who found herself stranded in America in the 1880s, took a job as a maid at the Harvard College Observatory and went on to discover over 300 variable stars, 10 novae and 52 nebulae. The supporting players in her biography include the ‘computers’, a team of low-paid workers (traditionally men, but Fleming ended up recruiting bright untrained women to the job instead) who examined photographic plates looking for stars, and the Director of the Observatory Edward Pickering, who broke with the norms of the time, encouraging his female workforce to attend conferences and present papers. 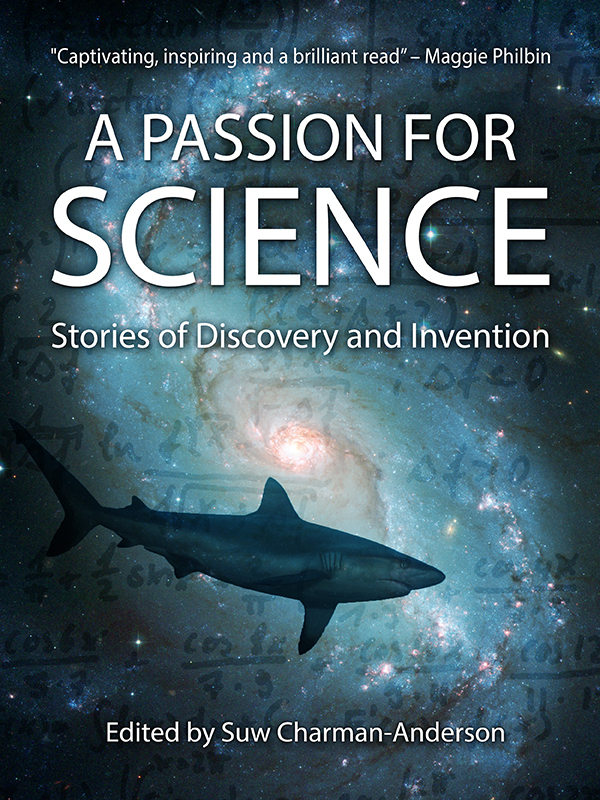 A Passion for Science: Stories of Discovery and Invention is edited by Suw Charman-Anderson and published by FindingAda. Readers of this blog can obtain a 25% discount on the published price of £5.99 by using discount code ‘strategiccontent’ at the checkout. All proceeds go towards supporting Ada Lovelace Day.